Sick of avoiding wearing black, lest you reveal the little piles of ‘snow’ littered across your shoulders? Having a dry scalp can cause all sorts of issues, some cosmetic, and others just plain uncomfortable. A dry scalp can be itchy, and sometimes even quite painful. The dandruff produced by a dry scalp can also seem never-ending and can pose a problem when you’re trying to look your best. You don’t need to hide away, and wear baseball caps indoors to hide your problem from prying eyes! There are shampoos that can help you fight the causes of your dry scalp, as well as other treatments and tips that will help soothe your head over the long run, while helping to rid you of any unsightly scaliness, and dryness. We’re going to give you insights into the tips, tricks, and shampoos you need to heal your scalp. Just because you have dandruff, it doesn’t mean you necessarily suffer from a dry scalp. Is your dandruff flaky, or oily? Does the skin on your scalp look scaled, dry, and inflamed? Answering these questions can help you determine the cause of your dandruff, and find the right treatment accordingly. Dry scalp caused dandruff is flaky, not oily. A dry scalp appears scaly – and can look red and inflamed. If your dandruff is caused by a fungal issue, and not dry scalp, it will have a distinct bread-like smell to it. If you’ve answered all these questions, and know for sure you have a dry scalp, you’ll be glad to know that there are plenty of ways to treat it. Look at her. She’s so ashamed of her dry scalp. So sad. Use a conditioning pre-poo treatment to moisturize your dry scalp. Although the shampoos we’re about to list are perfect for fighting a dry scalp, it’s important to prep your head before you cleanse. Cleansing, regardless of how gentle the shampoo is, can strip your scalp of oils. When you have a dry scalp, losing oil is something you can ill afford. That’s why using an oil, or conditioning treatment on your scalp before you cleanse, is a great way to counteract this problem. An oil, or conditioning treatment, will moisturize your dry scalp, and also provide a protective layer of oil to keep your scalp moisturized during, and after, a thorough shampooing. If you like head massages, then you’ll probably be keen on this pre-poo oil treatment. The great thing about treating your scalp with oil before shampooing, is that oil is readily available in your pantry. You can use olive oil, coconut oil, grape seed, or almond. You can even make your own concoction by mixing oils together to take advantage of their diverse properties. Hot Tip: Add a couple drops of an essential oil to give your treatment an aroma-therapeutic edge. Or better yet, use anti-bacterial, and anti-inflammatory essential oils to help fight build up on your scalp that might be causing itchiness (tea tree oil is great for this). If you’re a bit fancy, and want an oil renowned for its hair healing properties, then splurge on some Argan oil. Here comes the fun part! Your hair can be dry, and even dirty when applying this treatment. So, simply prepare by getting comfortable (perhaps in front of the TV) and place a towel around your shoulders (to protect your clothes). Have your oil ready, and apply a small amount to the palm of your hand. Rub the oil between your palms to warm it slightly, before rubbing it directly into your scalp with your fingertips. Don’t worry about oiling up your hair, just concentrate on your scalp. Having said that, getting a little oil on your hair is fine. Massage the oil into your scalp with firm pressure, and do so for at least 15 minutes. Place a shower cap over your oiled head, to warm up your scalp, and help it absorb as much of the moisture as possible. Wait for 30 minutes to 2 hours. Binge some Netflix, or surf the net. When you’re done, it’s time to shower! There are loads of conditioning hair masks, and intensive treatments, lining the hair care aisle of most supermarkets these days, and why not? Hair masks are a real treat. Even if dry hair isn’t your problem, a conditioning hair mask will add moisture back into your scalp if you simply concentrate application at your scalp and roots. We’ve written extensively about the hair masks on the market, here. So we won’t go into specific items in this article. But if you’re looking for a hair mask that will work best to fight the dryness of your scalp, then go for moisture-boosting, intensive conditioning treatments. You’ll want masks that are chock full of natural oils, and water-intensive ingredients such as aloe vera, and flax seed. No matter which hair mask you go with, try to follow the instructions on the packaging – but with a twist. Concentrate your application on your scalp, and roots. Unless your hair could benefit from a treatment, you can steer clear of applying the mask to the rest of your hair. After you’ve prepped your head with lots of moisture, it’s time to cleanse your hair with a gentle, dry-scalp busting shampoo. Most shampoos on the market dry you out. They use harsh cleansing ingredients, such as sulfates, which not only strip you of grime and dirt, but all of your natural oils – something you simply can’t spare when you have a dry, flaky head. When choosing a shampoo for your dry scalp, choose sulfate-free shampoos with conditioning ingredients. Look for shampoos with cleansing, but moisturizing formulas designed to detoxify your hair, but gently. Your shampooing technique also needs to change if you’re looking to heal up your scalp as quickly as possible. Concentrate shampoo application to your scalp and roots. Don’t worry about the rest of your hair. 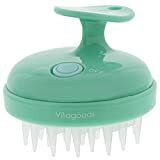 Massage the shampoo into your scalp with hard pressure, either from your fingertips – or a shampoo scalp massage brush, like this one. Let your shampoo work on your scalp for a bit before rinsing it out. After a 1-2 minute head massage, wash the rest of your body, before washing your head. Always apply conditioner afterwards. And let the conditioner absorb for at least 5 minutes. We briefly mentioned the anti-bacterial, antioxidant properties of tea tree oil above, when going through your pre-poo oil options. It’s these qualities that make tea tree the perfect ingredient for fighting flaky scalp problems. First Botany’s Tea Tree Oil Shampoo is chock full of tea tree oil, and is formulated to defeat itchiness, flakiness, and dryness. It’s paraben, and sulfate free – making it gentle on your already sensitive scalp. This shampoo will make your scalp tingle, which is a good sign. The tea tree is working at the skin cells on your scalp; stimulating them to get rid of dead cells, and encourage the growth of new ones. That makes this shampoo work as a rejuvenating hair-growth product, as well. Other active ingredients include Aloe Vera (soothing and full of lightweight moisture) and the oils: coconut, jojoba, almond and castor. These oils will help to moisturize your scalp, as well as promote the growth of new healthy skin cells, and hair. This organic shampoo by Selenium is a favorite amongst dry-scalp sufferers – mainly because it’s specially designed for dry, and damaged heads – and even fights against the more serious dry-skin conditions of eczema, and psoriasis. It’s formulated with Sapropel extract, proteins, and a whole host of organic extracts. Sapropel saturates the hair and head with essential minerals, vitamins and enzymes, whilst active proteins help to rebuild skin cells and hair shafts. Plenty of essential oil, and other organic extracts form a complex in this shampoo that fights bacteria, inflammation, and dryness. As this shampoo works on the most sensitive amongst us, it may not surprise you that it’s free of harmful chemicals. It’s full of healing ingredients that are 100% biodegradable. It’s safe for the environment and safe for your dry, itchy scalp. The haircare community is a-buzz with praises for Argan oil. It seems to have endless helpful properties that make it a haircare holy grail ingredient. Argan oil is an incredibly nourishing oil for hair, full of minerals and antioxidants that make it perfect for fighting dryness, and itchiness. And it’s the main ingredient in Maple Holistics Argan Oil Shampoo. This shampoo is free of sulfates, and parabens – and is instead formulated with organically detoxifying and rejuvenating ingredients, such as: Almond Oil, Jojoba Oil, Botanical Keratin, Peach Kernel Oil, Camellia Seed Oil. Keratin helps to rebuild your hair health by promoting hair growth, and skin cell regeneration. If you’re not only fighting a dry and flaky scalp, but also split ends, and damaged, frizzy hair – the Maple Holistic’s Argan Oil Shampoo will heal pretty much all of your problems. Despite the pharma-sounding name, this shampoo is sulfate, and paraben free, but uses active ingredients: caffeine, and tea tree, to help relieve the symptoms of a dry, itchy scalp. As already mentioned, tea tree is an anti-bacterial, anti-inflammatory miracle worker. Combined with caffeine, this formula will stimulate your skin cells, helping to expel dead ones, and regenerate new ones. This shampoo’s formula also includes Aloe Vera gel, which soothes redness, and moisturizes dry, damaged skin. Amplixin will help fight the symptoms of scalp dryness on a daily basis; as it’s gentle enough to use as often as you shower. 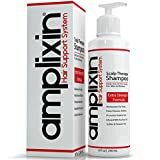 If you’re also struggling with hair loss concerns, Amplixin includes DHT blocking properties. If you’re not sure what DHT is, it’s a hormonal imbalance that causes 95% of hair loss cases. That makes the Amplixin formula anti-hair-loss as well as anti-dryness. If you’re battling the nightmare combo of hair loss, and dryness – then give Amplixin a go! Sometimes you need to hit the ball out of the ballpark. Some of us with dry scalp issues are not relieved by organic formulas, and essential oils. Some of us suffer from medically recognised skin irritations, like psoriasis. Some of us need something stronger in our shampoo to get the job done. If this is the case for you, Neutrogena’s T/Gel Therapeutic Shampoo is the stronger shampoo you’re looking for. This shampoo is formulated for daily use and fights the symptoms of dandruff, seborrheic dermatitis, and psoriasis. If your itchy, flaky, reddened scalp won’t respond to any gentle, natural treatments and shampoos – then it’s time to bring out the T/Gel. 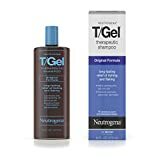 Neutrogena T/Gel starts working from the first use, and its effects last for up to a week – meaning you can use T/Gel just once a week, if you’re concerned about the harsher ingredients in the formula. Using this shampoo weekly will still save you from your dandruff-y problems. What about no shampoo at all? Some people have had positive results from skipping shampoo altogether. Although there’s a bit of an ‘oil curve’ where your head gets a bit greasy, once you push through and avoid shampoo for a couple weeks, your natural oil will balance out. You don’t strip any of your natural oils (which you need to have a healthy scalp). You don’t introduce your scalp to any fragrances, or ingredients that might further irritate it (if your skin is sensitive). Your body will naturally balance out your sebum production over time, so that your hair and scalp have just the right amount of moisture. Check out no-poo communities on Reddit and elsewhere on the net for more tips on living a no-poo lifestyle. For many dry scalp sufferers the problem is stripping, and irritating your sensitive scalp skin on a regular basis with commercial shampoos. Try going without. See if the shampoo was the problem to begin with! 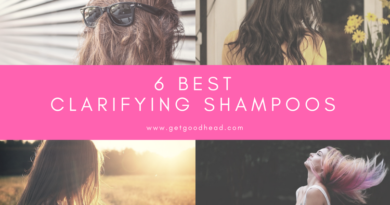 Obviously, you’ll need to wash your hair, so consider these steps when finding the right shampoo and have fun with dry shampoo and give seal salt spray a try! Note: it’s important to still go through the ‘motions’ of washing your scalp. Make sure to still massage your scalp in the shower, to encourage the lifting up of dead skin cells. It also helps to stimulate your follicles to promote faster hair growth! Besides using pre-poo treatments, and choosing the right dandruff-busting shampoo – there are other changes you can make, and things you can do, to help your scalp heal. For example, did you know that your diet has an effect on your hair and scalp health? You should be getting plenty of healthy proteins, from dark leafy veg, and eggs for example. The amino acids in these foods end up being the building blocks in your body’s cells. Your scalp’s cells need all the help they can get! You should also try to source Omega-3’s in your diet. Omega-3’s are found in the cell walls of your scalp’s skin; promoting lubrication. You can get Omega-3’s from plenty of fish, and nuts. Make sure you’re getting plenty of water every day. Which clearly will help keep you hydrated from head to toe. And it probably goes without saying, but you should avoid too much sugar, and certainly too much caffeine and alcohol – both of which cause dehydration. Given the above, a Mediterranean diet full of whole foods would be fantastic for restoring your scalp’s health. Avoid hair dryers at all costs. Blowing out your hair can worsen your skin dryness issues. Air drying is your friend from now on. In the same vein, avoid using hot hair styling equipment such as hot curlers, and straighteners. Try to rinse your hair with lukewarm to cold water. Hot temperatures can lift up the cuticle of your hair, which can lead to loss of moisture. Cold temperatures close the cuticle; sealing any moisture inside the hair strand where it belongs. If you’re not into cold showers, have a normal hot shower, but do a final rinse of your head under cold water. Avoid exposing your scalp to too much UV. Even if you have long hair, wear a hat when you’re out in the sun for long periods of time. Stop showering every day. Your hair doesn’t need to be washed that often, and you could be drying your scalp out just by washing it too frequently. Relax more. Stress can cause a whole host of health issues, including hair and skin problems. Exercise and mindful breathing are some great options for achieving some peace of mind. Switch to a satin pillowcase. Ordinary cotton or synthetic pillowcases can cause friction when you move your head a lot during sleep. This can result in the lifting of skin flakes at the scalp, as well as the tangling and loss of hair. Your dry scalp is simply in need of some nurturing, healing, and gentleness. The causes of scalp dryness are myriad, but the main takeaway is that your scalp is getting treated a bit rough, and it needs to be treated more like the fragile baby it kind of is. When fighting scalp dryness, you need to be conserving, and reintroducing moisture, as much as possible. Whether you achieve that with external treatments and shampoos, or internally with a healthier lifestyle, and less washing, your scalp will eventually thank you for it. Don’t get mad at your scalp for being flaky. Don’t try to fix it by harsh, or aggressive chemicals and rinses. Your scalp needs your loving care and attention. It might take a while, as all healing journeys generally do – but, it’s worth it. By achieving a healthier scalp, you’ll achieve a healthier you. Black Friday for Hair Care! 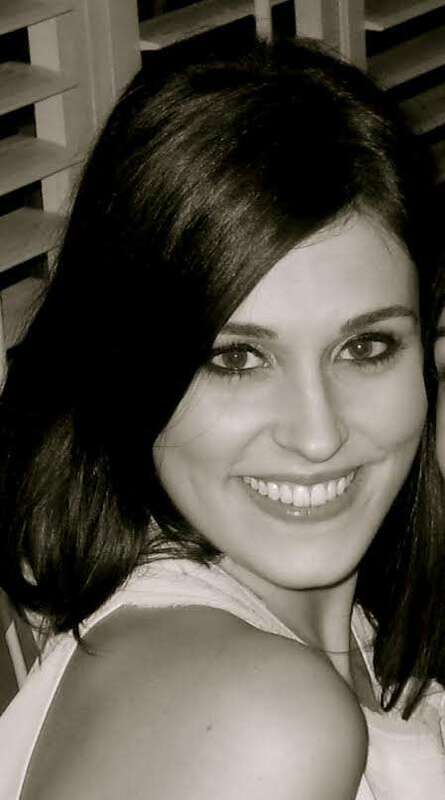 5 Tips On Getting a Great Hair Consultation!